USS Onondaga , a 2592-ton twin-turret monitor, was built at Greenpoint, New York. Commissioned in March 1864, she spent her entire active career with the James River Flotilla, covering the water approaches to Richmond, Virginia, during the Civil War's last year. While on the James, she was involved in several engagements in June, August and December 1864 and in January 1865. 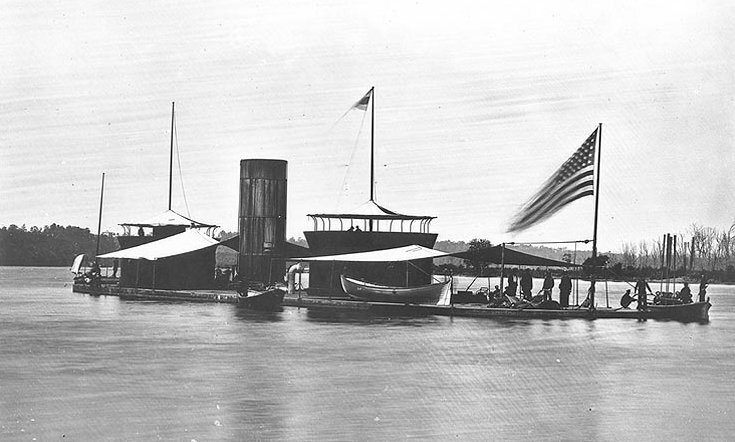 Onondaga was decommissioned at Philadelphia, Pennsylvania, in June 1865. 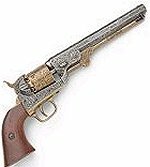 In an arrangement approved by the Congress, she was sold back to her builder in March 1867 and immediately resold to France. 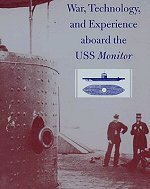 The monitor subsequently had long service in the French Navy. 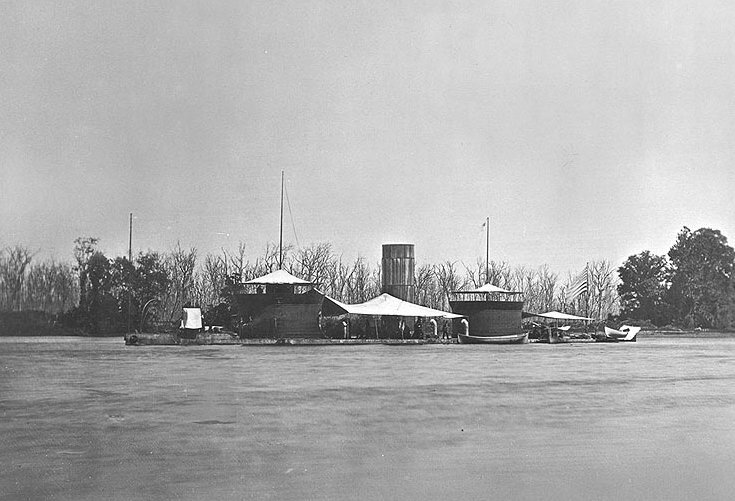 At anchor on the James River, Virginia, during the Civil War, circa 1864-65. 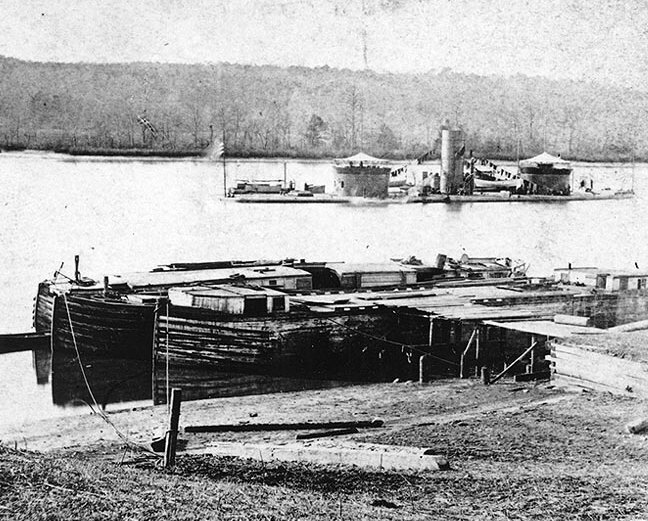 Anchored off Aikens Landing in the James River, Virginia, in 1864-1865. Note the barges at the wharf in the foreground. Aikens Landing, near Dutch Gap, was the site of prisoner of war exchanges. The Ironclad was a revolutionary weapon of war. 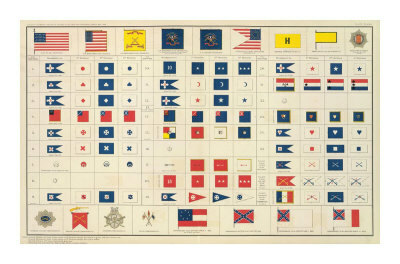 Although iron was used for protection in the Far East during the 16th century, it was the 19th century and the American Civil War that heralded the first modern armored self-propelled warships. In the James River, Virginia, 1864-1865. 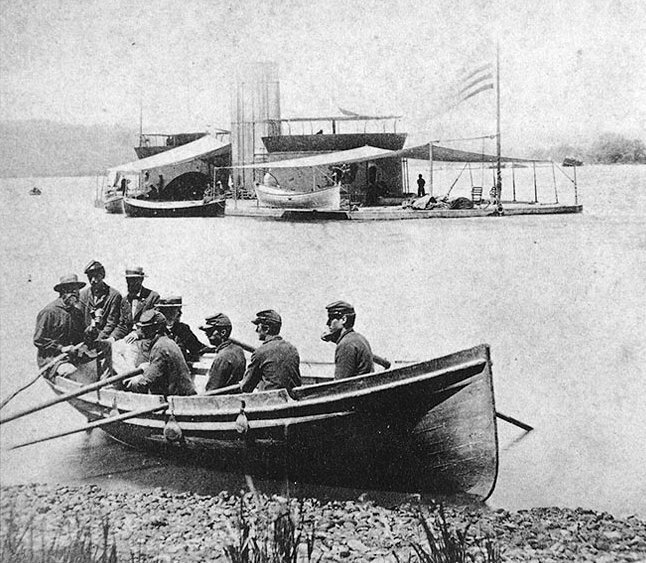 Note the rowboat in the foreground, manned by Union Soldiers. On the James River, Virginia, in 1864-65. Note the pulling boat at her stern, with oars manned. 40 in. x 26 in. 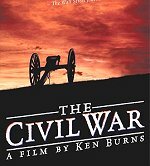 For more than a century the fate of the Hunley remained one of the great unsolved mysteries of the Civil War. 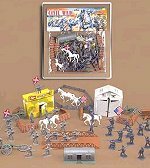 Then, on August 8, 2000, with thousands of spectators crowding Charleston Harbor, the Hunley was raised from the bottom of the sea and towed ashore. 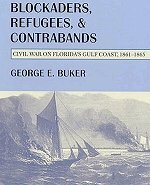 During the Civil War, Union forces blockade the port of Charleston so the Confederate army seeks a way to attrack the Yankee Ships. 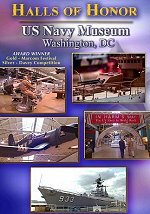 George Dixon is part of the group of men given the task of creating and building the "fish boat," a submarine. The H.L. 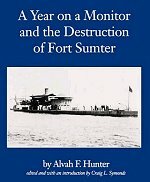 Hunley ultimately sets out on its mission to sink Yankee ships, but fails to return, its whereabouts unknown. 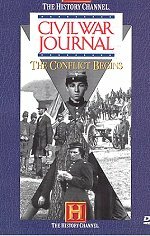 These four programs from the History Channel series Civil War Journal cover critical aspects of the early days of the war.